We’ll admit to being less than neutral on this particular event announcement, as one of Vol.1’s editors will be taking part in the Brooklyn reading listed below. 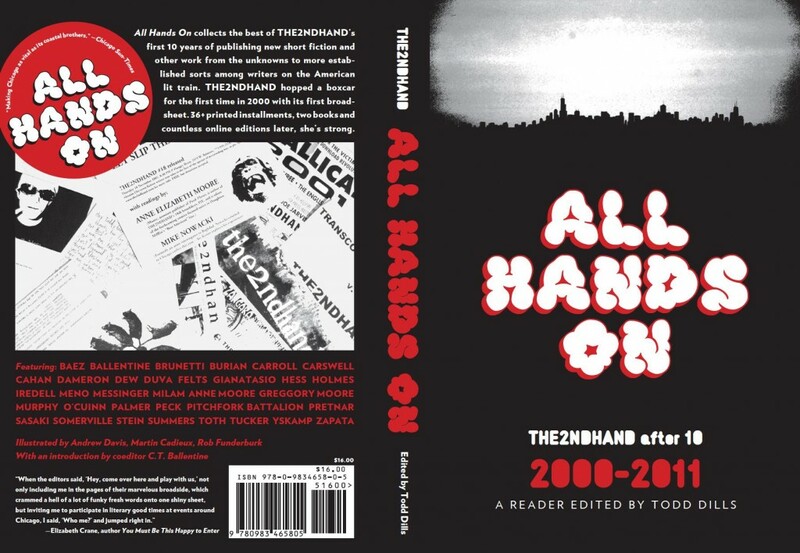 But nonetheless, we feel that you might be interested in knowing that Philadelphia, Brooklyn, and Northampton will host readings commemorating the release of All Hands On: THE2NDHAND After 10 later this week. Todd Dills, Peter Richter, Mickey Hess, and Ryan Eckes. Todd Dills, Tobias Carroll, Philip Brunetti, Mickey Hess, Gabe Durham, and Matt Cahan. Todd Dills, Matt Cahan, Ben Stein, Gabe Durham and Ted Powers. Music by Gale Thompson.